Since it’s my birthday week (tomorrow’s the big day! ), I figure it calls for a little *sparkle*. 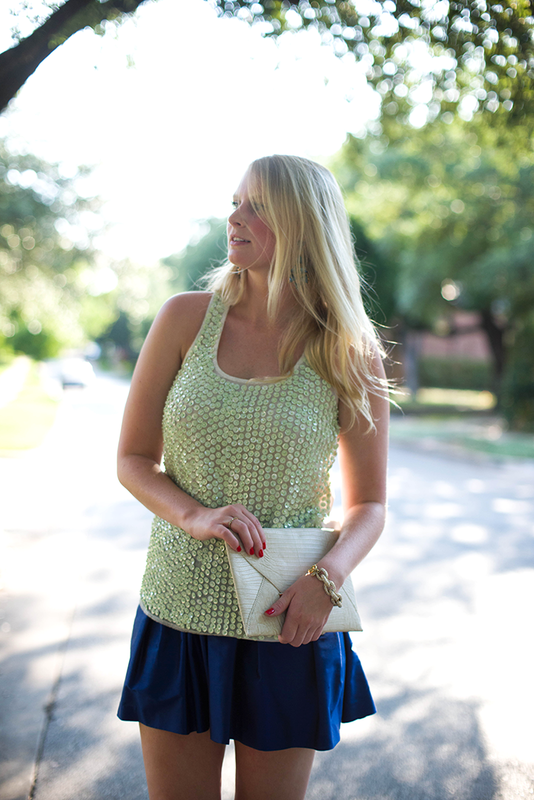 This Sabine tank from Piperlime is the perfect piece to add a little glamour to your look. It looks ah-mazing with white jeans for a crisp ensemble, while pairing it with another cool hue takes it up a notch for a cute night-out outfit. Plus – it’s breathable. Can you ask for anything more in this heat? How cute are you on this bike?! I have yet to find a romper that fits me perfectly, but keep trying because they are so darn comfy! I have such a crush on that skirt! I just adore this look, I love the color of the skirt too! 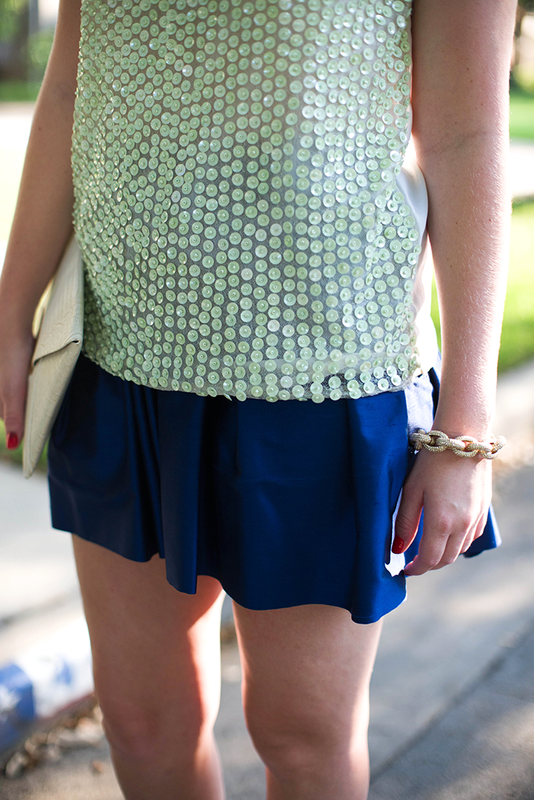 Love the sequined top! Amazing outfit!! happy birthday week, merritt! love the sparkle! I love this color combination, and I’m a sucker for sequins!! Happy (almost) birthday!!! Those earrings are to DIE for! Also, Happy Early Birthday! Happy early birthday! I love those earrings! So stunning! !